None of the three little pigs built a house out of metal, but it would have been a good way to keep away the big, bad wolf. Sturdy, strong, and sustainable metal walls and roof panels are known for their durable and green features. Metal is almost unbeatable among building materials for its recyclable properties, and metal walls and roofs contribute to reduced energy consumption, as their well-known cool roofing properties reflect heat energy and absorb less heat, keeping buildings cooler and reducing air-conditioning costs. Meanwhile, Gloria D. Lee, principal of Swift Lee Office Architects in Pasadena, California, is enthusiastic about what she considers the most noteworthy sustainability attributes of metal walls and roofing retrofits: long life, low maintenance, reduced probability of water intrusion, recycled steel content, high solar reflective index (SRI), light weight, and metal roofs’ compatibility with clip-on photovoltaics (PV) or thin-film peel-and-stick PV. As a highly durable, long-lasting material, metal roofs and panels deliver an excellent roofing return on investment. 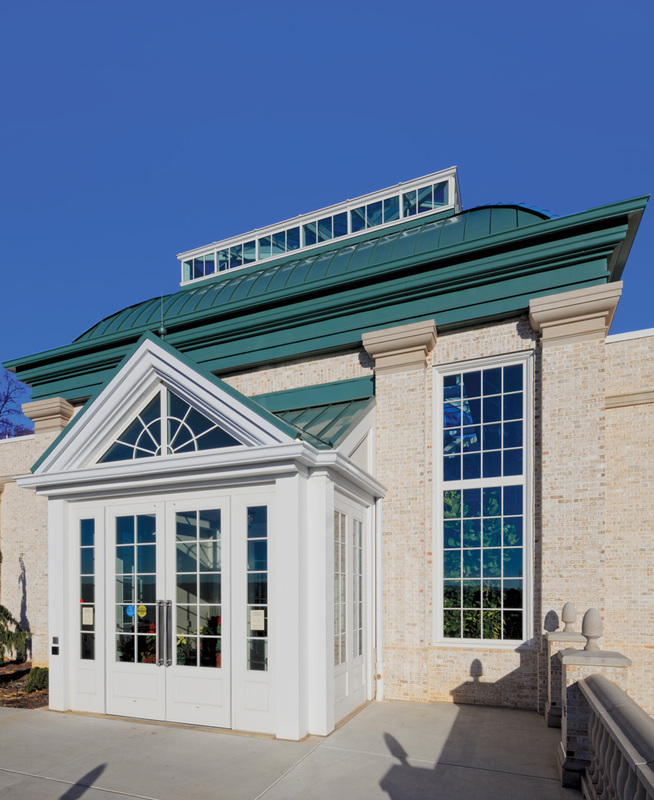 The Welcome Pavilion at Hershey Gardens in Hershey, Pennsylvania, features a new curved metal standing seam roof that mimics early 20th century design and seems to crown the conservatory. Furthermore, “metal wall and roof systems offer numerous ways to contribute to a high-performing building envelope,” adds Karl Hielscher, CEO, Metal Construction Association, a Chicago-based association. 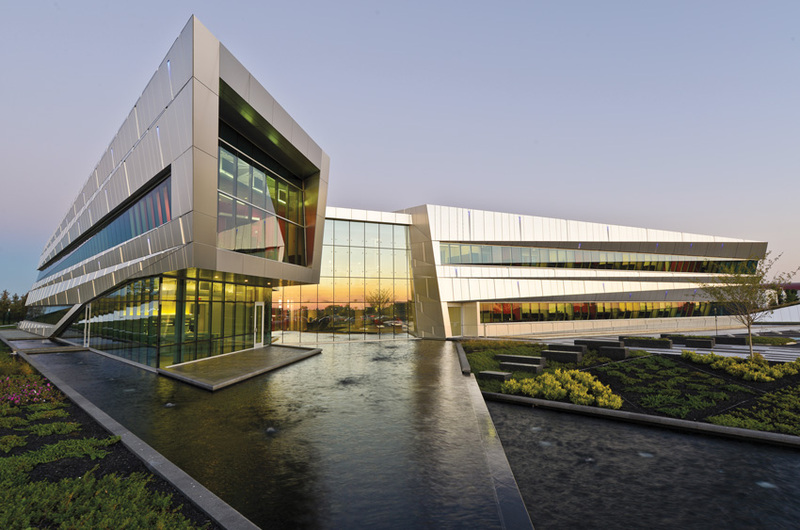 Beyond these advantages, many architects and builders are turning to metal for its clean lines, ease of use, and versatility, finding inspiration—and innovation—in metal building products. Industrywide, metal construction is on the rise—and for good reason. Recyclable, durable, and easy to install, metal has a loyal and growing following. Metal’s market share continues to grow, both in new construction—a 4.6 percent increase from 2015 to 2016—and with regard to renovation projects, where it spiked 12.2 percent over the same period. Furthermore, metal roofing is the second most-used residential roofing product on the market today. Photo courtesy of Liam Frederick/McElroy Metal Inc.
Metal’s durability, sustainability, and optimal building enclosure attributes made it the clear facade choice for the University of Arkansas Champions Hall in Fayetteville. 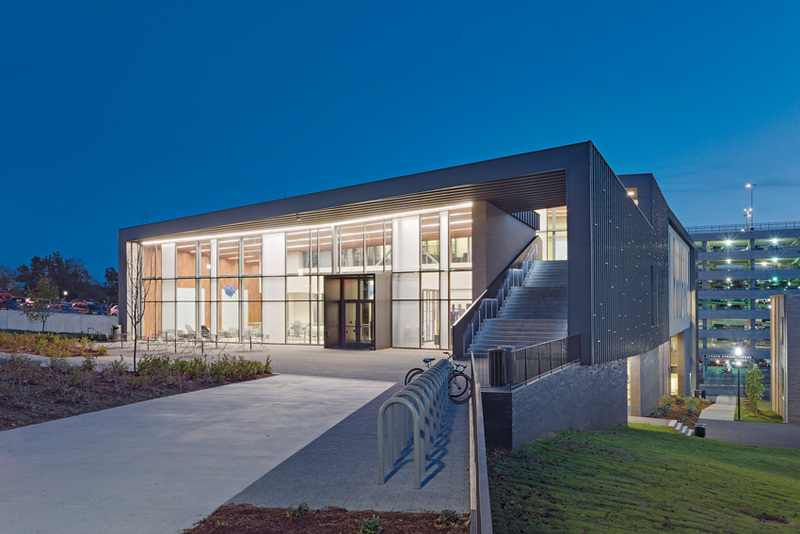 Regionally sourced with a high recycled content, the metal structure contributed toward LEED credits.